Your DMC Porto, northern Portugal - events management in magical Porto! If you are planning on exhibiting at a tradeshow in Porto or northern Portugal, we can help you set up your stand, invite potential clients and organize other logistical challenges. We will help you to set up away days for your business and clients, including accommodation, meeting room facilities, activities, local speakers and logistics. Porto is a fabulous city to let your hair down, with a large number of attractive bars and restaurants as well as some world class hotels. We can organize everything for you to throw the perfect party. From 50 to 1000 people, we have the venues in Porto to organize a truly memorable awards ceremony and we can take care of every last detail for you. 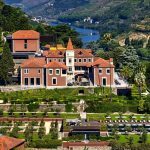 Northern Portugal has a well-established reputation for great food at very reasonable prices and there are some truly stunning locations in which to organise a gala dinner in Porto. Our team will help you find the perfect venue and then organize the entire event from beginning to end. Northern Portugal is blessed with some stunning scenery, which can give the perfect back-drop to a product launch. We can help organize a product launch for you that will be both unique and hassle free. We can organize a wide variety of team building programs, from relaxed weekends in luxury hotels with visits to local vineyards, to whitewater rafting, canyoning and other extreme sports. We will sort out every last detail for you, including logistics, accommodation and providing local expert instructors. Porto has conference spaces that will take up to 1500 people and is perfect for small or mid-sized conferences, given its attractions as a place to visit in free time, the low cost of accommodation and venues and the great accessibility given by Porto airport. 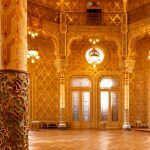 Porto and the surrounding area has some fabulous locations to run a convention, particularly if you are looking for something with a bit of local character. Give us a challenge to organize your convention and we will come up with some unique alternatives.